It’s March 29, when Britain was officially scheduled to withdraw from the EU. But it’s not taking place, at least not today. Instead, UK’s Parliament will vote on the Prime Minister’s divorce deal, but not on a formal political declaration on the future trade and security relationship with the EU. The dollar is slightly lower, and global equities are finishing their best quarter in years. The FX market is ending the quarter relatively quietly. The dollar edged lower overnight amid declining liquidity and volumes. US equities opened higher, and UST 10Y yields increased two basis points to 2.42%. A slew of US economic data are being released, which should help guide markets as they wind down the week, month and quarter. Today was originally the day that Britain was to withdraw from the European Union. Instead, UK lawmakers will vote for the third time on Prime Minister May’s terms of a departure from the EU only. If it passes, it would satisfy the EU’s deadline for completing the Brexit process and extend Brexit to May 22. If it doesn’t pass, a messy “no-deal” Brexit on April 12 is a strong possibility. 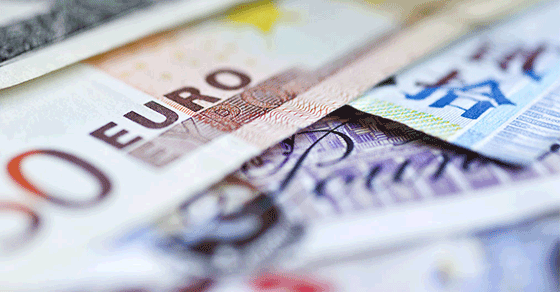 The euro made limited gains against the dollar overnight. US data out today will guide its movement. Traders remain positioned short the euro. The Canadian dollar rallied strongly this morning following release of better than expected GDP data for January. It was residential construction, up more than 3% m/m, that did the heaving lifting. Higher oil prices provided additional support for the loonie. It’s fiscal year-end in Japan. The USD/JPY currency pair is trading slightly higher overnight, but remains below the key 111.00 level. The Turkish lira has seen wild swings ahead of nationwide local elections on Sunday. Nervous traders have dumped the lira over the past 48 hours, fueling a general decline in EM currencies. This past week, Turkey’s government engineered a funding squeeze to stem the currency’s decline, but it led to traders abandoning Turkish stocks and bonds to reduce exposure to the country and its currency.